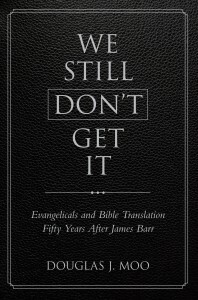 Doug Moo’s presentation of his paper, “We Still Don’t Get It: Evangelicals and Bible Translation Fifty Years After James Barr” at the 66th annual meeting of the Evangelical Theological Society (ETS) in San Diego, California on November 19, 2014. This presentation was part of a special event celebrating the 50th anniversary of the commissioning of the NIV. Free eBooks by Douglas J. Moo! A scholarly look at translation philosophy in We Still Don’t Get It. 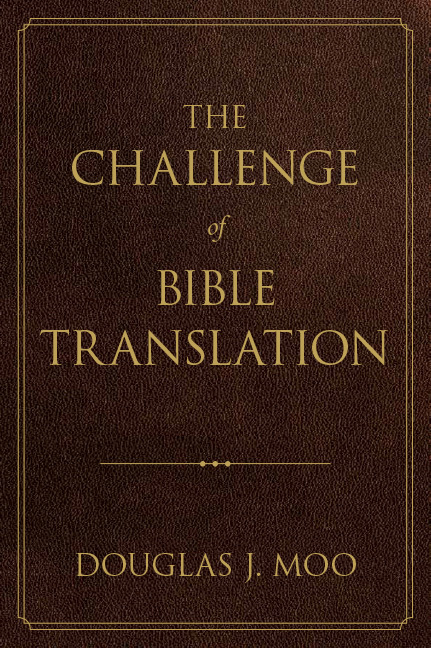 Pastors, read more on translation philosophy in The Challenge of Bible Translation. © 2019 HarperCollins Christian Publishing. All Rights Reserved.